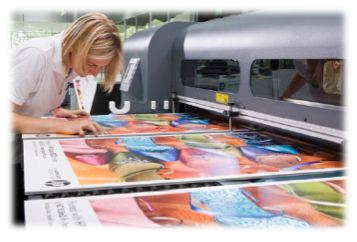 Our direct to board printing introduces a whole new way to order large format printing on rigid material. We offer up to 1,200 dpi print resolution on most popular substrates. If you’ve tried other direct to board print technology, you’ll be pleasantly surprised by the distinctive quality of our HP FB700 direct to board printer. We can print on boards up to 5’ x 10’ and up to 2” thick, or flexible roll to roll media up to 98" wide. You may order up to 10 quantity online. Due to the shipping requirements of large format printing, please request an invoice, rather than paying by credit card. We will contact you with pack and ship options before proceeding. If you don't see what you're looking for or need different quantities, we'll email you a custom quote.